Delta Psi Omega Chapter members donated two beautifully decorated baskets in honor of Childhood Hunger Day to Triumph Church East Campus. Pictured above (left) is First Lady Robin Kinloch who was very excited about receiving the baskets. 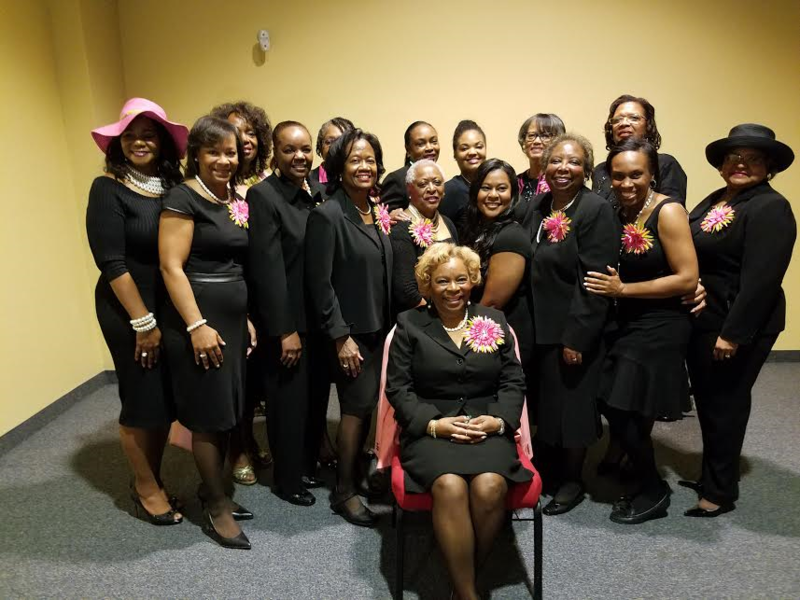 Pictured above (right) The chapter concluded the weekend attending the worship service at the North Campus.